This question is asked in response to my question about something I do not understand, but about which I have written, usually at length: a situation, or a person, or the over-all grasp of a concept. In my writing, I comprehend those things completely. It’s not as if I don’t spend enough time with my own writings, my own words, honing them, editing them, refining them, choosing them, sometimes doing battle with them. The point, for me, is that I spend TOO much time with them. So when I have completed a work of fiction or an essay or a poem, I rarely re-read it. The ideas and the basic understanding are somewhere in my consciousness, but I tend to forget them while I am working on future projects. This astonishment and stark amazement on the part of the people who have had to observe my creative process remind me of one concert that Dwight Yoakum was performing with Buck Owens. I believe the song they were singing was “Act Naturally.” And Buck hesitated on the lyrics. I think I know how he felt! 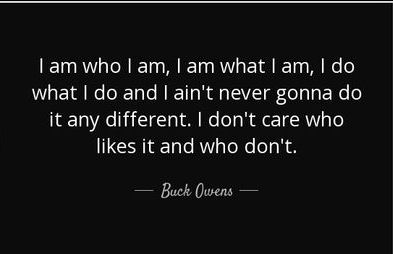 Alvis Edgar “Buck” Owens Jr. acted naturally probably from the moment he was born on 12 August 1929. He and his band, the Buckaroos, were the originators of what is called “The Bakersfield Sound.” As a child, I knew this music as the Western part of “Country and Western.” And it was rocking raucous, compared to the strings of the Nashville Sound or the crossover strains of Patsy Cline, Eddy Arnold, Jim Reeves, and even Johnny Cash at times. Owens was one of the finest guitarists and composers in modern American music. 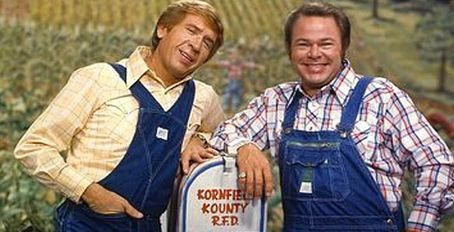 He teamed up with another supremely talented guitarist and singer, Roy Clark, on the tv show, Hee-Haw, a favorite show of mine for many years. Hee-Haw aired on CBS for 2 years, from 1970-71; and then the show was axed as part of the network’s Rural Purge. After cancellation by the CBS Suits, Hee-Haw enjoyed a very long and profitable syndication for over 20 years. The Corporate Suits decided in the mid-1990s to widen the “niche” of country music; and they killed it. 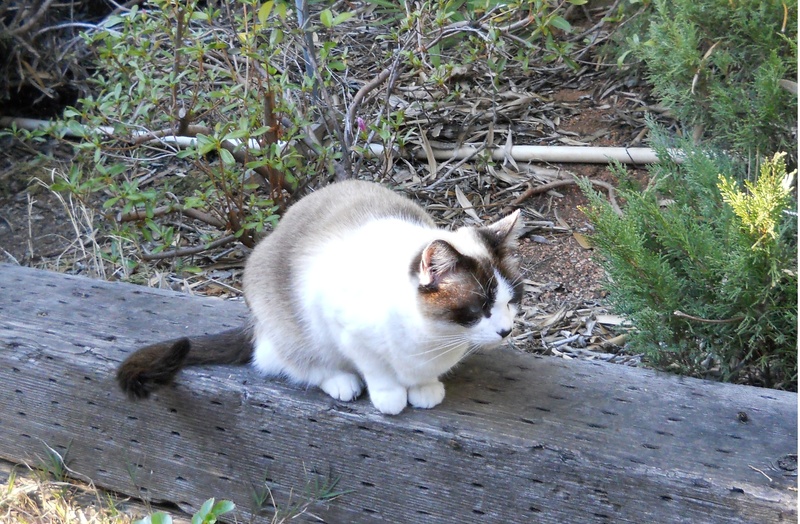 Buck, however, always remained true to his roots, the hard-pan soil of Bakersfield. He called his music “American”, and indeed it was. 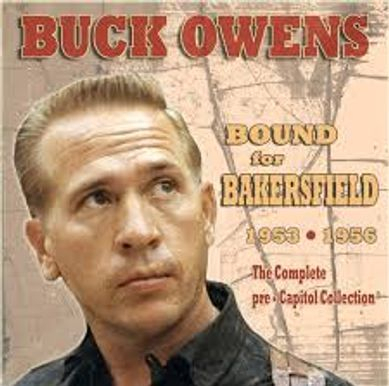 Played with a fiddle, pedal steel guitar, a steady, rockin’ rhythm, and the simplicity of sound that evoked the soul of Country&Western, the songs of Buck Owens were small sagas of life. Those musical narrations were filled with passion and poignancy. There was also the type of tender, taunting humor that once made “country” the type of music that people turned to, whenever they needed to hear the truth sung to them, in a way that wasn’t a club over the head. 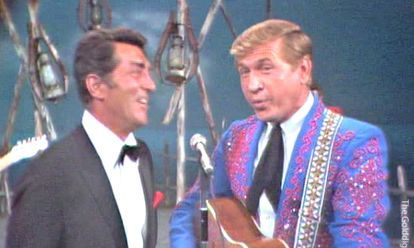 Buck Owens knew how to touch the heart, and twist the heartstrings just a bit, until they relaxed from the hurt of heartache. The shove-your-feelings-in-the-face-of-the-listener lyrics of “modern” country are embarrassments to this genre. Buck must roll over sometimes in his grave. I figure he laughs too because his songs sound better than ever! 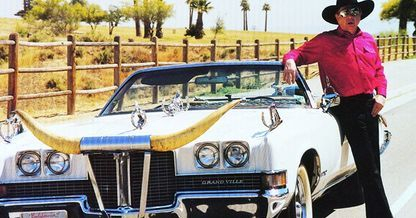 Dwight Yoakum tried to coax the lighting and thunder back into being, but Buck Owens, a native Texan, was a man of many depths, depths that only this true legend knew. It was Don Rich who had sung harmony with Alvis Edgar Owens Jr., and together they created a sound that floated clear up to the rafters of the barn. It was elegiac, that sorrowed twang, and it sold millions of records. Those sales, 21 Number 1 hits on the Billboard country music charts, they weren’t based on flavor-of-the-month fame or Twittered promos or follow-the-herd hype. 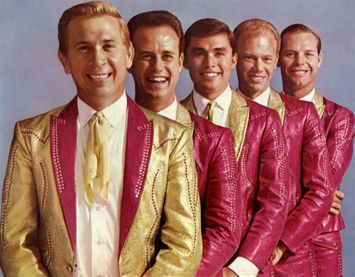 The songs of Buck Owens sold like hotcakes because they were penned from the inspiration of living life in America, in the U.S. West; and they were sung with the elemental sound of heart-felt desires, heart-felt dreams. The storyline of a Buck Owens song is the sort of tale that a novelist tries to tell in, oh, thousands of words, but she can’t get anywhere near the same impact. If you’ve any time to spare and care to indulge your ears and your musical heart in the purity of the western part of Country&Western, before that music, before a lot of American music, lost its soul, try listening to: Crying Time, Together Again, My Heart Skips a Beat. Your heart just might skip a beat.